Paul Manafort, Donald Trump's former campaign chair, has agreed to plead guilty to two criminal counts on the eve of a second trial that was set to be held in Washington. 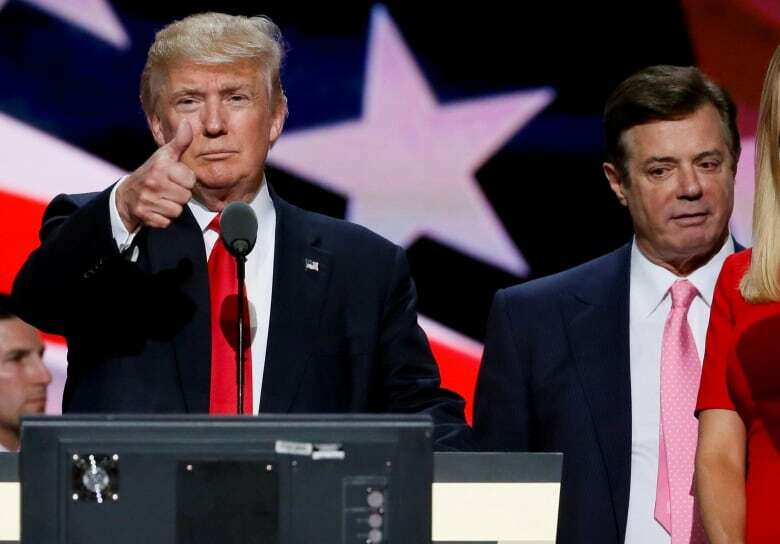 Paul Manafort, Donald Trump's former campaign chair, has agreed to plead guilty to two criminal counts on the eve of a second trial that was set for Washington. Manafort made an appearance in a U.S. district courtroom on Friday morning. The prosecutor, Andrew Weissman, said the longtime Republican operative had struck a "co-operation agreement" with authorities, but Weissman did not elaborate on the agreement. 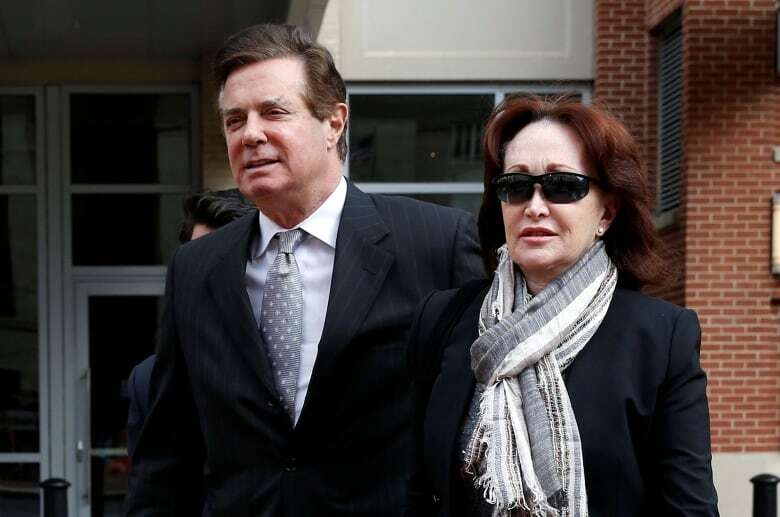 Manafort, 69, confirmed to Judge Amy Berman Jackson that he wanted to plead guilty to conspiracy against the United States and conspiracy to obstruct justice. The counts he pleaded guilty to on Friday carry up to five years in prison though Manafort's sentence will ultimately depend on his co-operation. He's been behind bars since mid-June after allegations of witness tampering. Manafort's two trials came about as a result of special counsel Robert Mueller's ongoing investigation into possible co-ordination between the Trump campaign and Russia. Berman Jackson said that as part of the plea deal, Manafort must co-operate "fully and truthfully" with the special counsel's investigation. That includes, if necessary, participating in interviews and debriefings, providing documents and testifying in future cases. The White House was quick to distance the development from Trump. "This had absolutely nothing to do with the president or his victorious 2016 presidential campaign," White House spokesperson Sarah Sanders said. "It is totally unrelated." While the allegations do not involve Manafort's work with the Trump presidential campaign, they again raise questions about the vetting of people in Trump's orbit. Manafort joins former colleague Rick Gates, former national security adviser Michael Flynn and campaign foreign policy adviser George Papadopoulos as Trump associates who have pleaded guilty to various charges as a result of the special counsel investigation. As well, Manafort was present, along with Trump's son-in-law Jared Kushner and Donald Trump Jr., at a controversial Trump Tower meeting in June 2016 with Russian figures. The meeting, brokered with the promise of information on Democratic candidate Hillary Clinton, has been a subject of inquiry in the congressional intelligence, judiciary and oversight committees. Manafort could have co-operated earlier, but only decided to as his second trial this year was set for Monday, on charges related to Ukrainian political consulting work, including failing to register as a foreign agent. 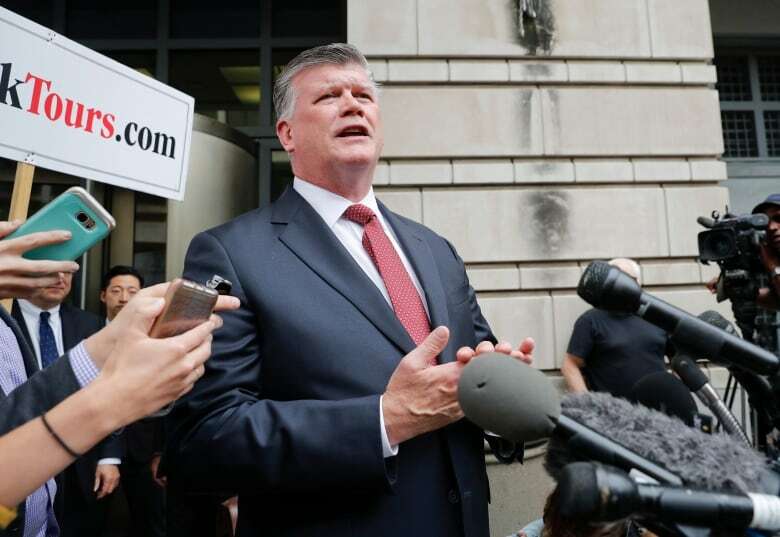 "He wanted to make sure that his family was able to remain safe and live a good life," said Kevin Downing, Manafort's attorney. "He's accepted responsibility. This is for conduct that dates back many years and everybody should remember that." Jurors in Virginia last month found Manafort guilty, in a separate case, on two counts of bank fraud, five counts of tax fraud and one charge of failing to disclose foreign bank accounts, giving special counsel Mueller a victory in the first trial arising from his investigation of Russia's role in the 2016 U.S. election. Jurors were deadlocked on the other 10 counts. 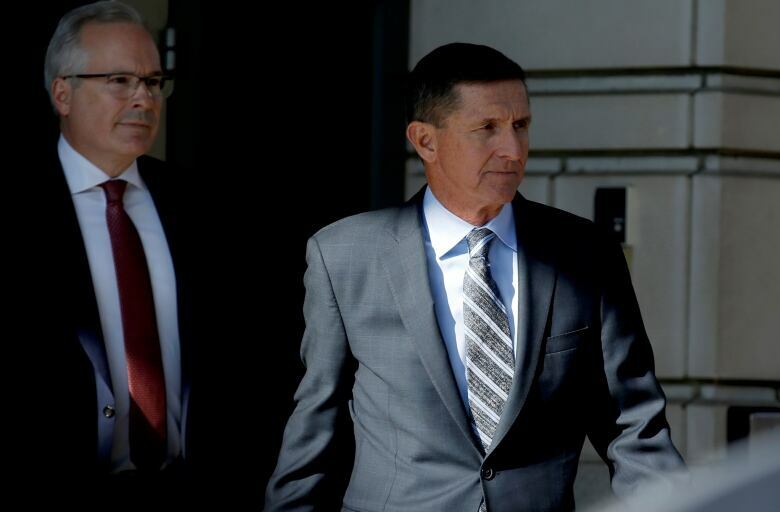 The trial included testimony for the prosecution Gates who pleaded guilty to lying to federal authorities and agreed to co-operate with the special counsel probe. 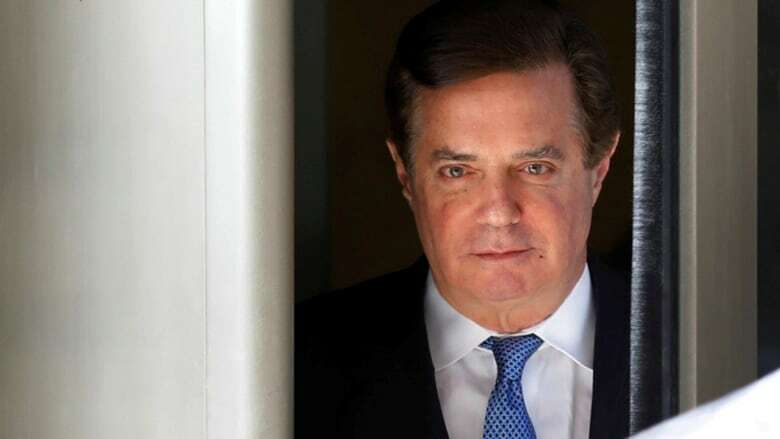 Friday's court filing said Manafort's homes in New York City, in the Hamptons and in Virginia, as well as money from his bank accounts and life insurance policies, may be seized by the government as part of the deal. Manafort joined the Trump campaign in March 2016 and was elevated to chair in May. He left the campaign in August that year — days after the New York Times reported a Ukraine investigation had uncovered $12.7 million US in undisclosed cash payments involving Manafort from 2007 to 2012. The money, the newspaper reported, came from the pro-Russian party of Viktor Yanukovych, the onetime Ukraine president. But in his first trial, jurors were given an indication that Manafort was not necessarily shut out from the Trump team when he was let go, as he recommended candidates to Kushner, in an email during the presidential transition, receiving a prompt and enthusiastic response. At a rally in August, Trump said: "I feel very badly for Paul Manafort. It has nothing to do with me. Nothing to do with Russia collusion." Asked by reporters at the White House if he would consider a pardon if Manafort is convicted, Trump said last month: "I don't talk about that." He also called the prosecution of Manafort "a sad day for our country." Another victory for Mueller as Manafort pleads guilty, admits allegations against him and agrees to cooperate. We must reserve judgment on the value of his cooperation, given he’s had joint defense agreement with Trump, hopes for a pardon and has admitted to obstructing justice. It was a contrast to Trump's reaction to Michael Cohen, his former lawyer, who pleaded guilty to charges in a separate case. Trump said it "should almost be illegal" to co-operate with authorities, deriding those defendants as "flippers." Democratic Congressman Adam Schiff of California welcomed the plea on Friday but advised caution given the spectre of of a potential pardon, which Trump has used in the past for supporters such as former Arizona sheriff Joe Arpaio and filmmaker Dinesh D'Souza. Manafort succeeded Corey Lewandowski in directing Trump's campaign, and was essentially replaced in that role by Steve Bannon. Manafort's prominence in D.C. lobbying circles extends back nearly four decades, when he helped found a firm along with individuals including Roger Stone, another former Trump campaign adviser who has testified to congressional committees examining alleged Russian interference in the 2016 election. The Manafort case came about as Mueller was given the authority as of May 2017 to investigate any links and/or co-ordination between the Russian government and individuals associated with the campaign of Trump, as well as any potentially criminal matters that arose directly from the investigation. Mueller's indictments have also included some two dozen Russians for alleged cyber-intrusions designed to disrupt the 2016 election and roil the U.S. political debate. Russia has denied the allegations, although at a joint news conference with Trump in July in Helsinki, Russian President Vladimir Putin admitted he wanted the Republican to defeat Democrat Hillary Clinton.